Doug performs in all manner of live performance across Canada. In the past few months he has been seen in Little Mercy’s First Murder (Vertigo/GZT), Amadeus (ATP), Treasure Island (ATP) and St. Joan (Theatre Calgary). 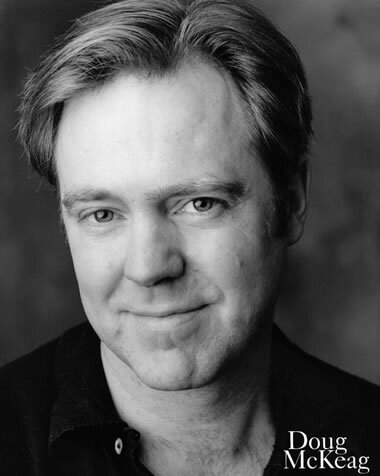 Recently, Doug appeared in several World Premieres: The Optimists at Theatre Junction; X-Ray at Ghost River Theatre and Pinocchio with the Old Trout Puppet Workshop at ATP. Favourite shows include Into the Woods (Citadel); Arcadia (Theatre Junction) and Kurt Weill: Berlin to Broadway (Theatre Calgary). Doug and his partner Onalea produce concerts for Symphony Orchestras through their company Dandi Productions and recently presented The Twins and the Monster at the National Arts Centre as part of Alberta Scene, and appeared at the Hollywood Bowl as guests of the Los Angeles Philharmonic. Doug recently produced and hosted A Tribute to Vaudeville, the first live show at the Grand Theatre in 50 years. To Contact Dandi Productions Inc.